For the majority of last season Manchester United could not terrorise the opposition like the United of old, and boss Jose Mourinho longed to correct the situation. Former Arsenal frontman Alexis Sanchez looked like the perfect replacement to add to his plans for the Red Devils and was signed for the club in January in a high-profile swap deal with old enemies Arsenal. It saw Henrikh Mkhitaryan head to The Emirates Stadium, with the once-exciting and driven Chilean moving the other way. Sadly, for United fans, Sanchez has nowhere near lived up to the hype and expectations that his move stirred in the media before he was brought in to Old Trafford by Mourinho. Sánchez has yet to settle properly at Old Trafford since he donned the red shirt, sparking concerns that he may just be another expensive Mourinho mistake. Mourinho reportedly had the Chilean in his plans this term, and had even stood up against remarks criticising the player’s inability to blend in, demanding that he be given more time. Sánchez started on the bench and did not feature until the closing stages of their defeat against City rivals Manchester City on Sunday where United were thumped 3-1 at The Etihad Stadium. Mourinho has clearly lost his faith in the Chilean and when he finally introduced him in the Manchester derby on Sunday, only managed a few touches before fading out. 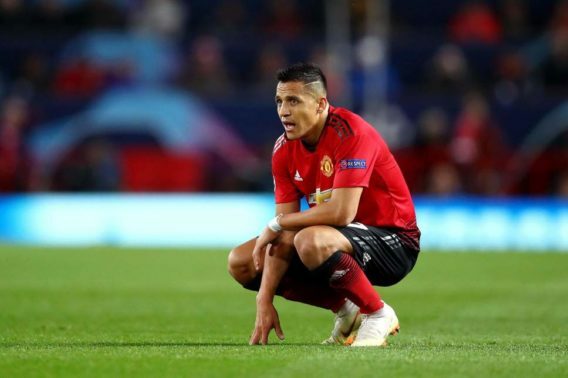 Sánchez is tired and wants to walk away from Old Trafford according to a report by Sportwitness. The Chilean has asked his agent to shop around and Real Madrid have been alerted of his availability.